Launched in April 2017 FaHyence is the first refuelling station in France that can produce hydrogen on-site and on demand from renewable energies according to a press release by project partner McPhy. With a daily capacity of 40 kg covering about 25 vehicles at 350-420 bar charging pressures the station aims to contribute to cross-border hydrogen mobility with Germany and Benelux. Refuelling is completed in just a few minutes as noted in the same press release. 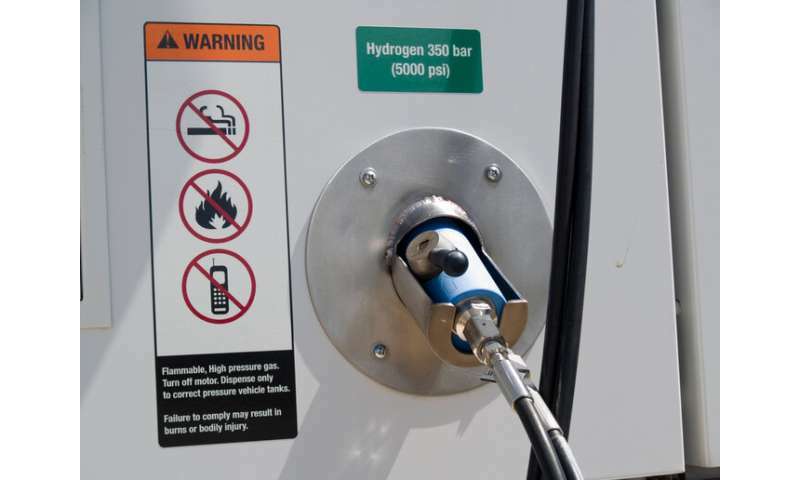 The article by 'The Conversation' states: "Compared to hours of charging necessary for conventional battery-based electric vehicles the four minutes to fill a vehicle's tank with hydrogen seem to be more than acceptable." The same article highlights other HRSs in France, including a site in Grenoble that has been operational since 2018 under the HyWay project, as well as others that are being built at Rodez and Nantes. In addition to France, the initiatives of the H2ME (Hydrogen Mobility Europe) project involve Germany, the United Kingdom and Scandinavia. The first phase 5-year H2ME project was launched in 2015, followed by the second phase H2ME 2 (Hydrogen Mobility Europe 2) introduced in 2016. A document on the project website summarising its achievements states that during the two phases over 1 400 vehicles and more than 45 HRSs will be deployed. According to the same document despite limited infrastructure coverage the deployment of such stations in Europe continues at an increasing pace. However it also points to delays in HRS installation due to the permitting process that is related to different regulations codes and standards across Europe. The document suggests that further research and development in the HRS supply chain is needed in areas such as the metering technology and spare parts. H2ME initiatives are supported by the EU's public-private partnership the Fuel Cells and Hydrogen Joint Undertaking.